Ruby is not only optimized for developer happiness, but also for writing concise one-liners. The language is extremely expressive, but this comes at a price: Ruby's grammar definition is more than 10000 lines long, the language is at its limits, and there is not one editor or syntax highlighter that actually highlights Ruby correctly. Ruby is a great tool (a pickaxe?) and it is better to know your tools well. 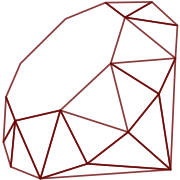 You should know Ruby's meta programming API for methods, although it is not optimal. It is also good to know about unusual ways of creating local variables. Having a good understanding of Ruby's low level and its edge cases helps you to concentrate on solving the real problems. It also helps shaping new best practices. And it is fun. The aim of Idiosyncratic Ruby is to document lesser-known features of Ruby as a series of blog posts. All the content is on GitHub, enabling it to live beyond its publish date. Jan Lelis is a freelance developer and he is ruining his Ruby style since late 2009. Back then, he was very unhappy with the IRB command-line experience. That is why he ended up writing the Irbtools gem, which makes using IRB more enjoyable.